In the February 2012 issue of O, The Oprah Magazine, Oprah in her column, What I Know for Sure, (page 162) shares her mission in life, what she’s all about: seeking the fullest expression of self. Part of that life’s purpose brought her to Fairfield, Iowa, or TM Town, as she calls it. Oprah and her crew were here filming segments for her Next Chapter on OWN, including interviews with students at the Maharishi School; Vedic Pandits in neighboring Maharishi Vedic City; a visit to a home in Abundance Eco-Village, which is totally off the grid and designed with Vedic architectural principles; and practicing Transcendental Meditation with the ladies in one of the two golden domes on the campus of Maharishi University of Management. The show may be airing sometime in March. Updates to follow. Click on the photo and then the text box to enlarge and better see them. You can also click on this Oprah Feb 2012 to download a pdf of the article, or pick up a copy at a store where her magazine is sold. 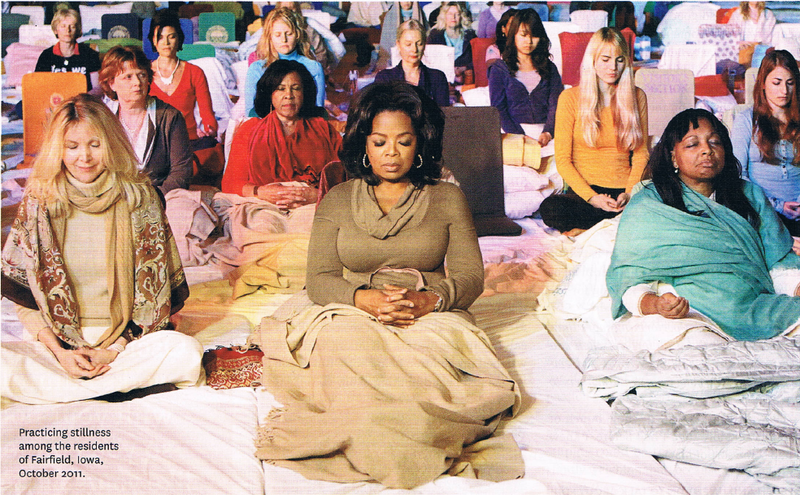 The same article is now posted on Oprah.com with a larger photo showing hundreds of ladies meditating behind Oprah in a packed dome: Oprah on Stillness and Meditation – Oprah Visits Fairfield Iowa – What Oprah Knows for Sure About Finding the Fullest Expression of Yourself. Enjoy! 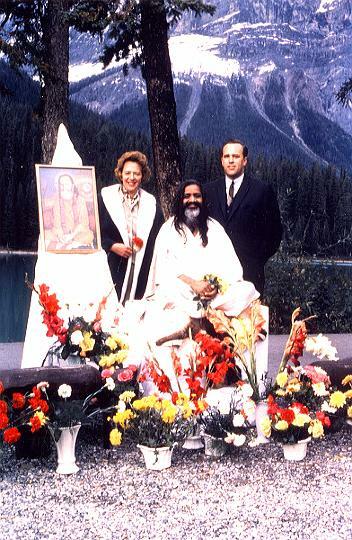 Also reported in Global Good News | Maharishi School News | TM Program for Women Professionals | Transcendental Meditation Blog | Peacetown, USA. See related posts: Some Reports on Dr. Oz’s Interview with Oprah about TM and her Next Chapter, which includes a segment of that interview, Oprah meditates with ladies in MUM Golden Dome, Reports of Oprah’s visit to Fairfield, Iowa, and Oprah says she and her staff meditate, enjoy a Quiet Time twice a day—Facebook Live interview. Oprah and Facebook COO Sheryl Sandberg enjoy a lively discussion. This was news to me. Did you know that Oprah was interviewed on Facebook Live? Live Interview with Oprah Winfrey – Sept 8, 2011. Since I’m not on Facebook I didn’t go there to look for it. So I did a Bing search and found it posted on talkbytes.com. 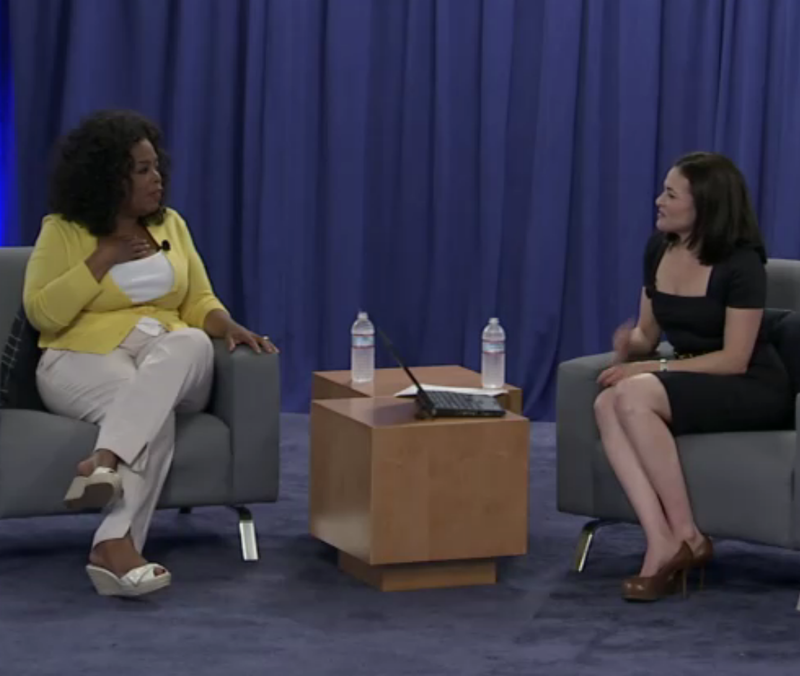 Oprah sat down with Facebook COO Sheryl Sandberg for an enjoyable talk. Besides Sandberg, members of the Facebook crowd also got to ask Oprah questions, along with online participants. 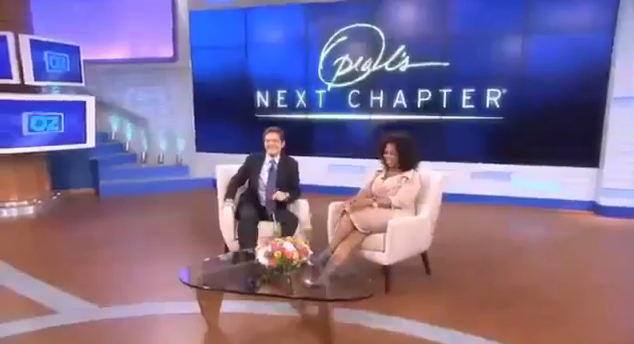 Oprah is quite the talker. She is a great communicator and teacher. She sincerely wants to bring more consciousness into the lives of her viewers, and shares some revealing valuable lessons she’s learned over the years. Around 9:15 minutes into this enjoyable 1 hour interview, Oprah tells Sheryl that she and her OWN company offices in Chicago and LA have now incorporated meditation, a Quiet Time, twice a day into their schedule. Hopefully, we’ll hear more about this in a future show. There were so many wise things Oprah said about her life, the evolving philosophy of her program, from entertaining and shocking her viewers, to helping them empower themselves. She feels her mission is to help people become the best they can be. 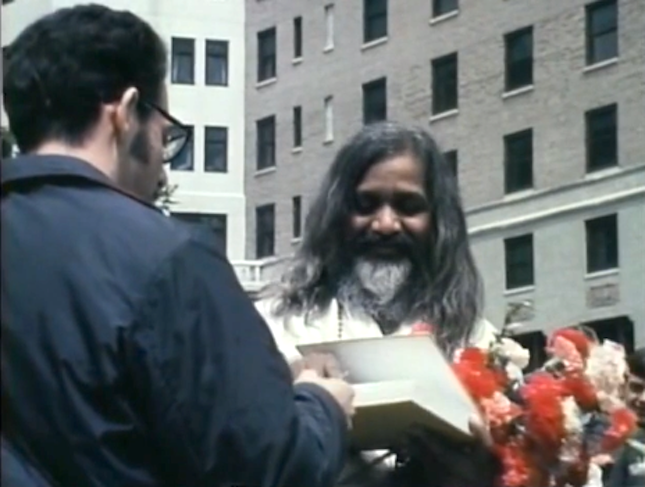 Here is a partial transcript from the section on meditation. 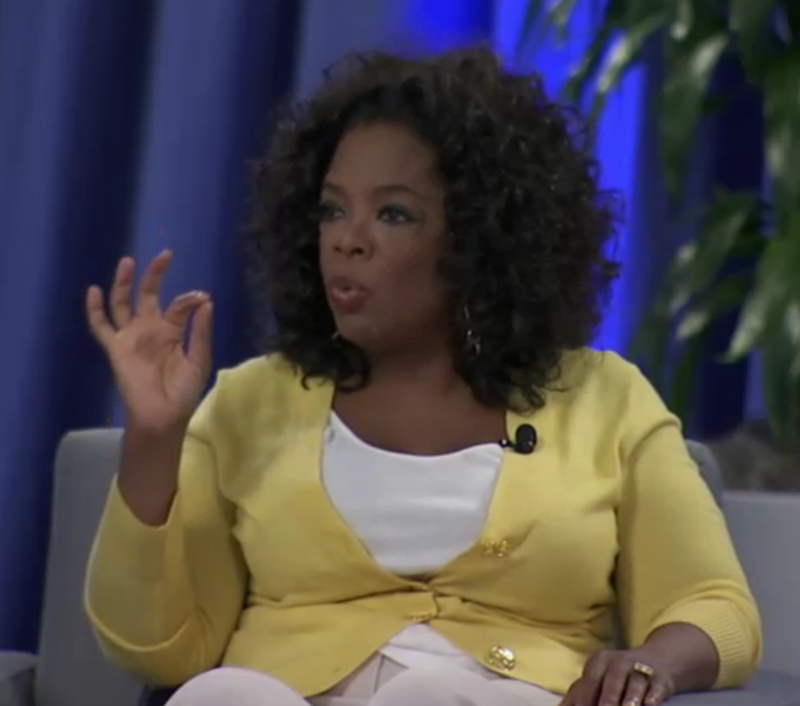 Sheryl asks Oprah what was it in her that helped her become who she is today. Sheryl: Like my kids. They get Quiet Time. So I have…having grown up in rural Mississippi, alone with my grandmother, I had a lot of quiet time. I had a lot of time to touch the stillness inside me. And the truth is, that’s where God lives. God lives in the space of stillness. Whatever you chose to call God, or not call God. It doesn’t matter whether you chose to call it or not, that stillness is always there, that awareness space. You know, all of us has that space were you’re willing to get still, because the world will try to tell you everything about yourself, and…we have so many voices, in our heads and on our Facebook pages telling us everything. But, to know, really, what to do and how to be guided in your life, you have to go to that still space where the bigger You, the greater You, resides. And I have it, and so does everybody else who’s listening to us right now. Sheryl: Get ready Facebook, we’re going to be meditating. (Sheryl gives the peace sign). Oprah: It changes the energy of everybody in your company. I mean, for years I’ve wanted to do it. And I knew that, because I didn’t start out that way. And I started out my school doing it too in South Africa. Have a moment where you can go into that space, so that you’re not just talking and operating outta the top of your head, and you’re not just moving in your action-external self, but that you’re bringing a deeper sense of who you really are. For a review of the show with quotes, here’s an article about it in The Huffington Post: Oprah At Facebook: Incredible (VIDEO). The video is posted there, as it also is on talkbytes.com: Oprah Forces Her Employees to Meditate, which is unfair since Oprah doesn’t force her employees to participate in such programs, she just provides it to them as a Quiet Time option, a time to chill out—something we can all benefit from in this fast-paced crazy world. You can lead a horse to water, but you can’t make him drink. This first show is now posted on Facebook: http://livestre.am/11yid. It’s a great interview. Enjoy! Also see Reports of Oprah’s visit to Fairfield, Iowa in the news Oct 19+20, 2011: Fairfield Ledger: Oprah visits Maharishi School, Fairfield | KTVO: Oprah and her jet land in southeast Iowa | Oprah Winfrey Meditated in Fairfield Iowa Tonight with Other Transcendental Meditation Meditators: Oprah Jets into Fairfield and Meditates | Inspiring Developments | Mount Everest | Emporium. And Oprah meditates with ladies in MUM Golden Dome, which includes links to an interview with Dr. Oz, reported in examiner.com: Oprah Discusses Her Life After the Practice of Transcendental Meditation. And a recent post on the TM Blog Oprah Winfrey talks TM with Dr. Mehmet Oz. 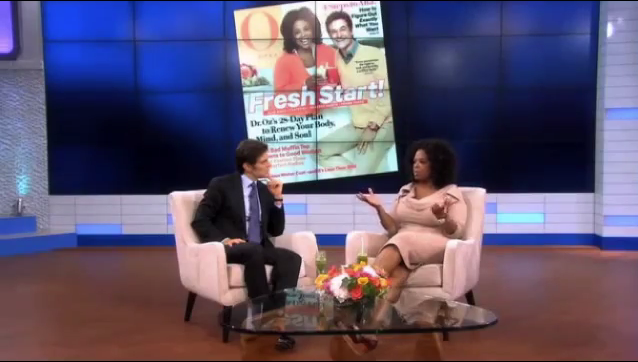 For more, see: Some Reports on Dr. Oz’s Interview with Oprah about TM and her Next Chapter. 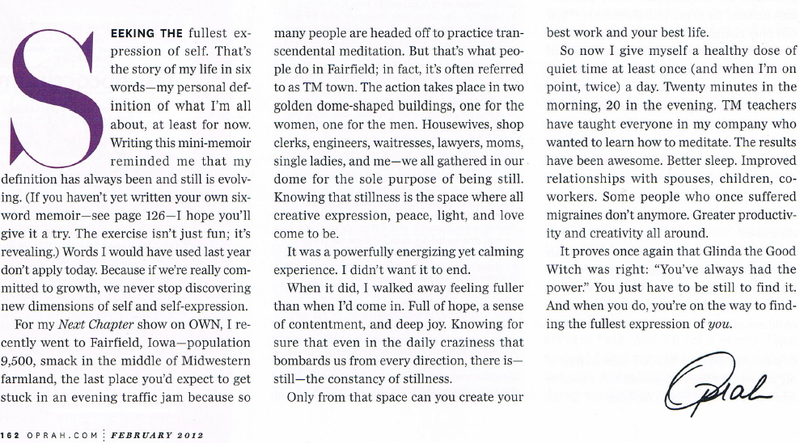 And this latest news: Oprah writes in O Mag about her visit to TM Town and meditating with ladies in their Golden Dome.